Brad was born in Toledo Ohio on June 9, 1965. At the age of three he lost his hearing when he contracted a deadly fever. Rather than send him to special schools, his parents made sure Brad knew how to read lips and had him fitted with hearing aids. 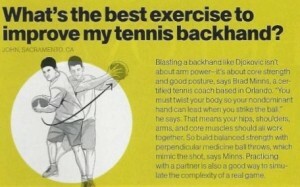 He began playing sports and found that he had an interest in tennis, which he began to participate in more and more. He went on to become one of the top junior players in his age division and received a scholarship at the University of Toledo as a walk on. The only difference between Brad and his teammates was the fact that he couldn’t hear the cheers of the crowds who came to watch him play. 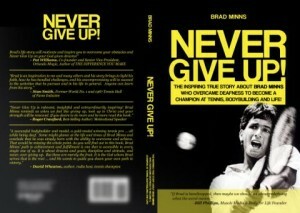 After college he went on to become the USA’s number one deaf tennis player and won numerous World Deaf Championships. He also helped the USA to win it’s first ever Dresse Cup in 1995. Not being content with just playing professional tennis at the World level, he began using his bodybuilding in earnest. 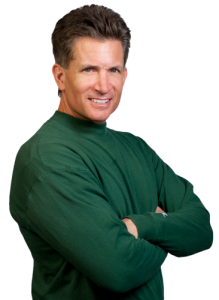 In 1995 he won the P.A.S./ Experimental and Applied Sciences nutritional supplement transformation contest now known as Body-for-Life and became their second national spokesperson. In addition to being the E.A.S. second spokesman, his bodybuilding success earned him various modeling jobs including being Nordic Flex’s cover model and appeared in their national television advertising campaign. Brad has always met his goals and is now determined to teach others how to go for their dreams and goals. Today, Brad lives with his wife Ginny in Orlando, FL and works as a tennis professional and personal trainer. He speaks at FCA (Fellowship of Christian Athletes) groups where he shares his testimony of living a life for Christ.